Fred Rogers explores various topics for young viewers through presentations and music, both in his world and in the Neighborhood of Make-Believe. Visiting storyteller Jay O'Callahan tells the story of "Bubble Trouble." In the Neighborhood of Make-Believe, Metropolitan Opera baritone John Reardon offers to write a new opera. How many episodes of Mister Rogers' Neighborhood have you seen? A series of shorts illustrating various songs that teach multiplication tables, grammar, science, American history, computers, economics, and environmentalism. Contestants pursue the international thief as junior detectives who must answer questions about geography. We follow a family of bears, known as the Berenstain Bears, as they figure out life together. With friendly neighbors and close friends, the journey is never boring. Inspired by the book series written by Stan and Jan Berenstain. Rocky, a plucky flying squirrel and Bullwinkle, a bumbling but lovable moose, have a series of ongoing adventures. Scientist/comedian Bill Nye explores various aspects of science for young viewers. One in a long-running series of game shows, where two-member teams of children compete to answer questions and complete stunts. Innovative "Claymation" adventures of Gumby and his horse Pokey. Mr. Rogers and a host of colorful characters, both puppet and human, demonstrate all kinds of interesting and intriguing things through imagination, music and art. Mr. Rogers: A lot of people have asked me how they can get a trolley like mine to play with. And I usually say, "Why don't you just make one?" Q: Was there really a week that dealt with bombs and war? Like many kids of the early 70's, I used to watch the PBS trinity. Sesame Street taught us about letters and numbers while The Electric Company taught us about reading. Mr. Rogers had the hardest job of all though; he taught us about feelings, socialization and the adult world. Everything about the show was crafted to be warm and friendly without being boring or patronizing. Mr. Roger's tools were puppets, videos and original music, all of which were used to great effect. Even so, the show was about how people feel and relate, and for that it needed a Human element. Mr. Rogers and his neighbors were that element, and they were expert teachers. As the focal-point of the show ("star" just doesn't seem right), Mr. Rogers always spoke directly to the camera, as if speaking directly to the children who were watching. His manner was always calm and inviting, unlike a certain purple dinosaur whose hyperactive manner almost demands that you like him. 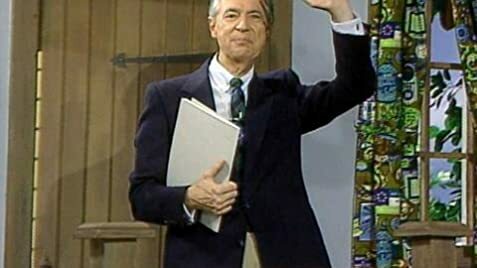 More importantly, Mr. Rogers always conveyed an air of dignity. Contrast that with many modern shows that tend to portray adults as fools. That may be good for a cheap laugh, but kids know that adults are in charge. Who wants a fool to be in charge? 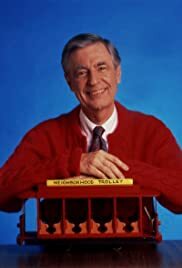 Kids shows will come and go, but there will never be another Mr. Rogers. He didn't want to sell the kids things, he didn't expect them to be "cool," and he didn't want to replace their parents. he just wanted to be their neighbor. 20 of 21 people found this review helpful. Was this review helpful to you?